​It had looked inevitable for quite some time but after their 2-0 defeat to Crystal Palace at Selhurst Park on Saturday afternoon, Huddersfield's relegation to the Championship was confirmed. 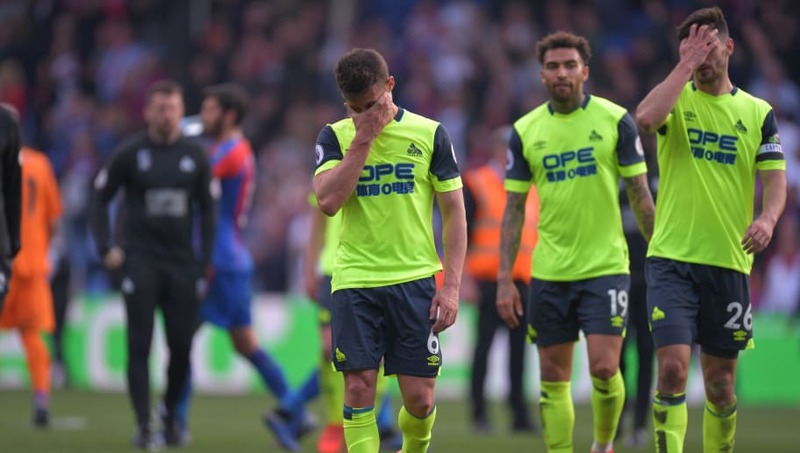 They needed other results to go their way but with both Burnley and Southampton picking up three points each, it's now mathematically impossible for the Terriers to survive and their two-year stay in England's top flight is now over. Huddersfield have managed just three wins in their 32 games so far this campaign - including just one away win - and have scored the fewest amount of goals in what has been a torrid season for the fans at the John Smith Stadium to endure. If that wasn't bad enough, their relegation also means they've become just the second team along with Derby County in ​Premier League history to be relegated in the month of March, not a record they'll want to be associated with. Whilst ​Huddersfield fans will be consoling one another, neutrals seemed to find the funnier side of things, with many taking to Twitter to react to the news of the club's relegation. Huddersfield are the first team relegated from the premier league this season, I feel for their fans having to watch them this season.. but it’s still not as bad as watching Willian and Alonso every week. Goodbye Huddersfield. Absolutely no one will miss you. Huddersfield are relegated. Thanks for the memories. And by memories, I mean that time a Sky reporter went to interview your new manager, but it turned out it was just a random man in the crowd who looked a bit like him. Huddersfield will be hoping they can regroup and start fresh in the Championship next season, looking to secure a return to the Premier League at the first time of asking. Although as fans of Stoke and Swansea will tell you, it's not quite that simple. The Terriers will need to try and keep as many of their current squad together if they are to mount a promotion chase, or else they could well suffer the same fate that many other clubs have had to endure and become mired in the Championship for several years.